Guess the Emoji: Emoji Pops All Level Answers by Conversion, LLC for iPhone, iPad, iPod, Android, Kindles, Facebook and other devices. Are You Ready For A Guessing Game Like None Other?! Guess The Emoji Will Entertain You For Hours! Our New Kid And Family Friendly Game Tests Your Logic And Reasoning Skills To Solve Simple (And Sometimes Hard!) Emoji Puzzles! You’ll Be Presented With A Screen Displaying Some Emojis – What Is It That These Emoticons Are Describing?! Can You Guess Them All? Are You Stuck On A Hard Emoji Question?? Do Not Fear, Hints Are Here To Save The Day! Expose A Letter – Using This Hint Will Reveal A Random Letter In The Puzzle. Use This Hint When You Need An Extra Nudge To Guess The Icon On A Hard Question! Remove The Letters – This Hint Removes All Letters From The Board Which Are Not Used In The Puzzle Game. This Hint Can Be Very Helpful On Shorter Puzzles. Use It Wisely! Solve It! – This Hint Will Completely Solve The Word Question For You! Use It If You’re Totally Stuck! 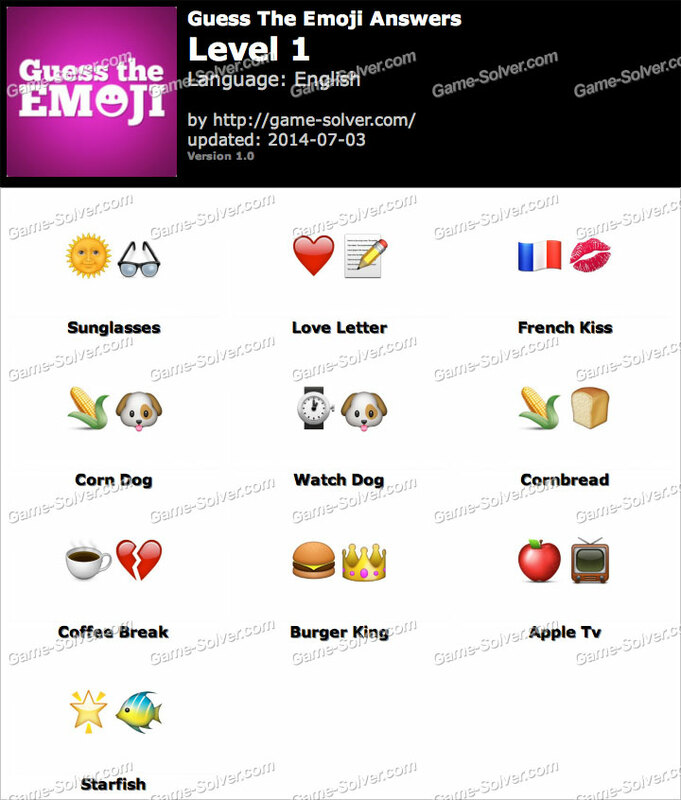 This is the Answers for Guess the Emoji Level 1 by Conversion, LLC for iPhone, iPad, iPod, Android, Kindles, Facebook and other devices. Magnified – Guess The Magnified Pic! Guess The Word - What's the 1 word in these 4 pics?